In contrast, the Resident Evil 2 Original Soundtrack conveys fundamental themes of panic and desperation via varying musical styles. Featuring ambient horror, industrial pieces and rousing militaristic anthems you’ll experience classic orchestral compositions alongside ominous piano underscores, taking you back to Raccoon City’s iconic Police Station, Sewer and Underground Laboratory. Each soundtrack has been remastered specifically for this release and will be pressed onto audiophile heavyweight, deluxe double-vinyl 180g LPs, in both standard black and special limited editions featuring unique marble colourways and housed in striking gatefold sleeves. 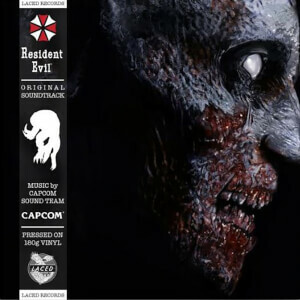 The Resident Evil (Original Soundtrack) and Resident Evil 2 (Original Soundtrack) vinyl infection is currently contained to North American and EMEA territories.